Using our team approach to problem-solving, we will help you identify areas of opportunity on your farm. Through coaching, training, and analytics, we will help you and your team execute a plan to keep your operation moving forward. O.P.T.I.C. Feedlot Tracking System – Learn more! 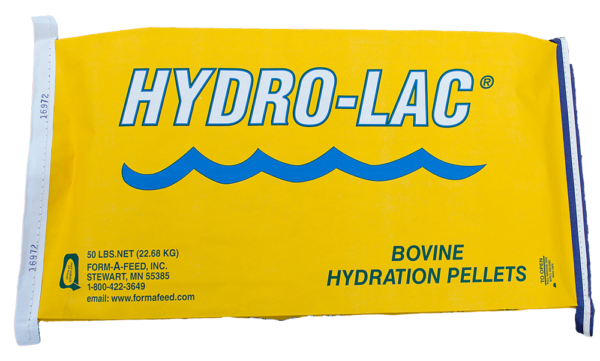 Hydro-Lac reduces my shrink, keeps cattle on feed and eating. Hydro-Flexx makes a big difference. I’ve noticed dramatic changes with our live weight. We’re getting about 0.5% higher dressing percentage. Cull cows also dress higher when fed Hydro-Flexx. Heifers used to ship 1350-1425 lbs., but with Hydro-Flexx ship at 1425-1500 lbs. I always weigh my cattle locally before shipping. I have experienced shrink as low as 1% on a 160-mile haul to Dakota City, Nebraska when using the Hydro-Lac program. I have used Hydro-Lac on all my cattle I ship for the last eight years. Stress Lic tubs with Stealth 5 improved my calves. I can see the difference in calves that are on it vs. the ones that aren’t!